Project: B.H.A.M. 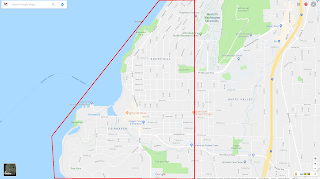 (Byzantine Hunters of Adventure & Mystery) is an ongoing scavenger hunt and mystery solving contest taking place in the beautiful and mysterious city of Bellingham, Washington. Project: B.H.A.M. is the working title for an ongoing scavenger hunt/mystery/clue hunting game, currently in its initial testing phase. Each installment of the game lasts one month. One day a week for four weeks, a clue is dropped. Solving the first clue leads players to the second clue. Solving the second leads to the third, and so on. Once the fifth and final clue for the week has been solved, players will receive a fragment of the final puzzle. Once all four final puzzle fragments are received, players will be able to solve the cumulative mystery! Currently, Project: B.H.A.M. is about to enter it's fourth and final week of this first installment. The fourth week starting clue will go live Thursday, March 8th, whenever I wake up. Month 2 Starts on Friday! Month 2 is officially five days away from starting! Initial clues will go out via Slack on Friday April 6, at 9pm sharp! All clue QR codes for the month will be inside the red boundary lines. Have you found one of the Project: B.H.A.M. QR codes? Sound like something you'd like to do? It's totally free to play while we're in our "Beta" phase. We're currently using a couple of different mobile apps to keep everything going. First you'll need Slack on either your phone or a computer. Second, you'll need a good QR code reader (although I think iphones have them built in, right?). Third, you'll need to send me a good email address, and I'll hook you up with an invite on Slack. The best way to reach me is either here in the comments, or via my dedicated gmail account, projectbhamimgur@gmail.com. If you'd like to start fresh with the new round, I'm anticipating the next monthly installment going up in the beginning of April. This gives you a little time to sign up (and maybe talk some friends into playing as well).